I was called for a high tea session at my son's school for some launch they had planned. They had a small event with select parents from each class. I was fortunate to be picked up for one reason, they had invited the best caterers to serve on live counters. Well...i dont mean to say that is all that caught my attention, but I ended up learning 3 to 4 new dishes, with the chef happy to demonstrate me while other parents were busy checking syllabus and how my child can be one up with others with the teachers. 1) Cook the idlis in large plates (dhokla plate will do ) in a steamer. 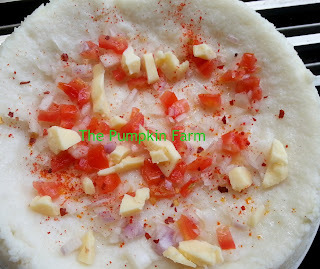 5) Sprinkle the coriander mixture and grated cheese. Cut in quarters and serve piping hot. Totally innovative. .loved the version Pradnya..and will surely try it..may be I will give it another twist..have some batter in the frig...will try it today itself. wow that is innovative!!! very nicely done!! 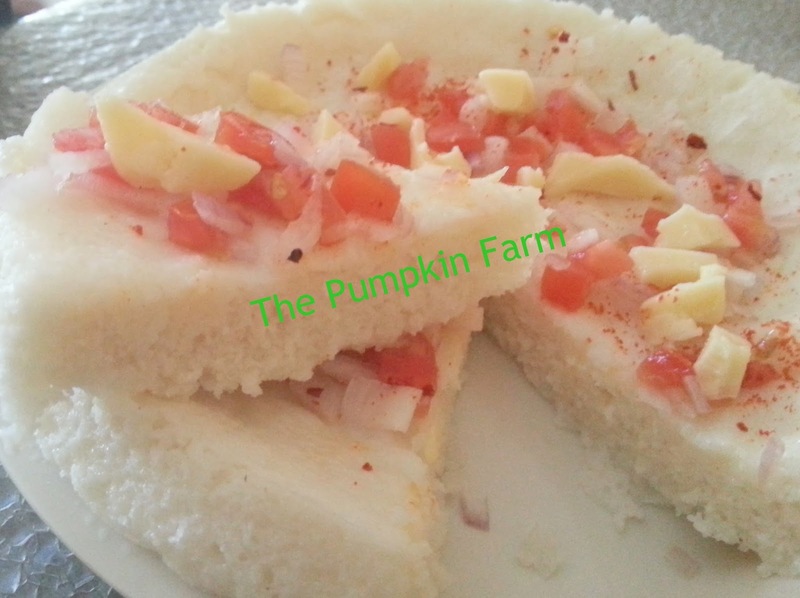 Idli pizza, the name itself makes me drool.. Excellent creation Pradnya. wow !! this is soo cool..will try. sure kids will like it. i make oothappam n cut as triangles saying dosa pizza. this shud be cool. thats totally a clever version of pizza .. 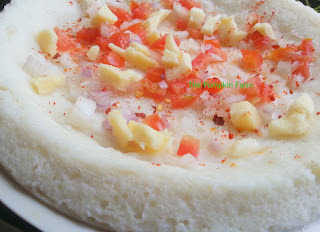 I do have idli atta left over most of the time at home.. will try this soon ! wow nice idea very very innovative love the way they have turned out fluffy and delicious. What a delicious spin on good old idlis.. yumm!! That surely sounds so tempting Pradnya..imagine getting a dish that kids would gobble down..
Ho wow. I love this. 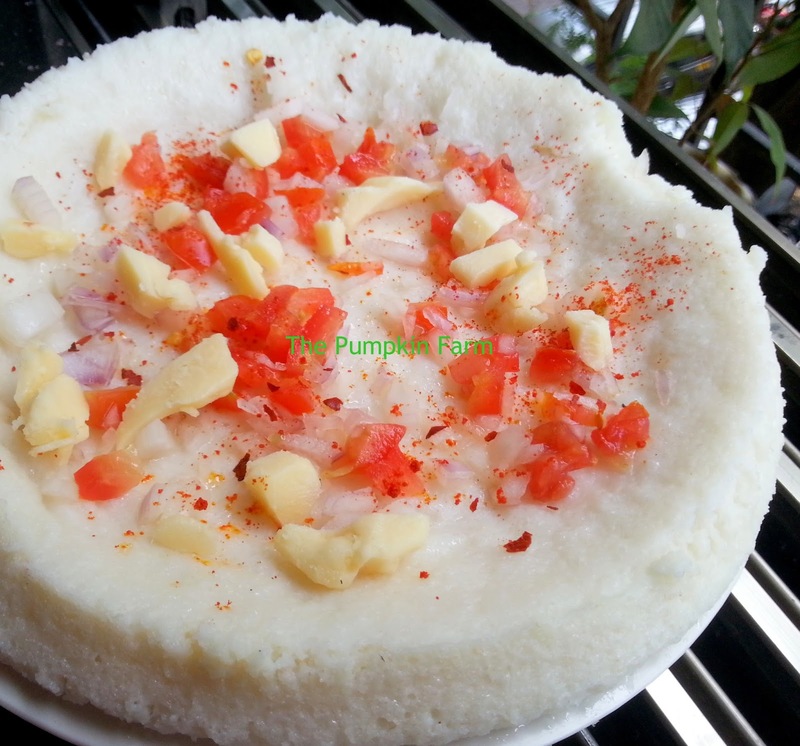 Great way to get idlis in my kids tiffin without any complaints and the associated tantrums. Thanks a lot. very innovative!! My grandma even today says that our uthappam can be styled as an Indian pizza instead of going in for the 'unhealthy' flour based one!! This is so innovative! The kids would love this...We could also smear it with some tomato chutney (for pizza sauce) and then put the toppings. 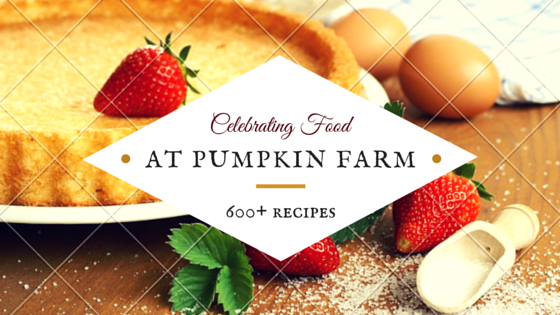 wow!This is such an innovative dish...looks great! 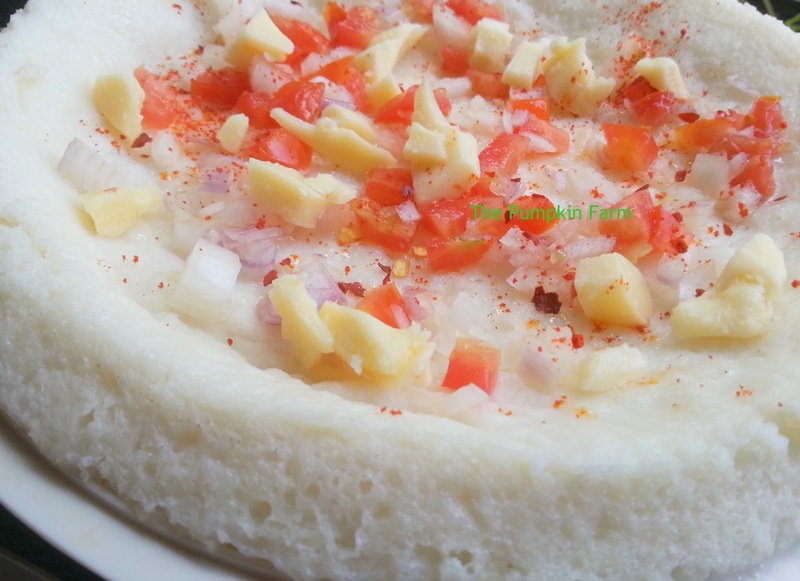 Love your touch to the mundane idlis.